High school junior gets the attention of the Internet, and some big name colleges, with this impressive feat. Tope Imade can thank his coach for the interest pouring in from some of the biggest names in college football. 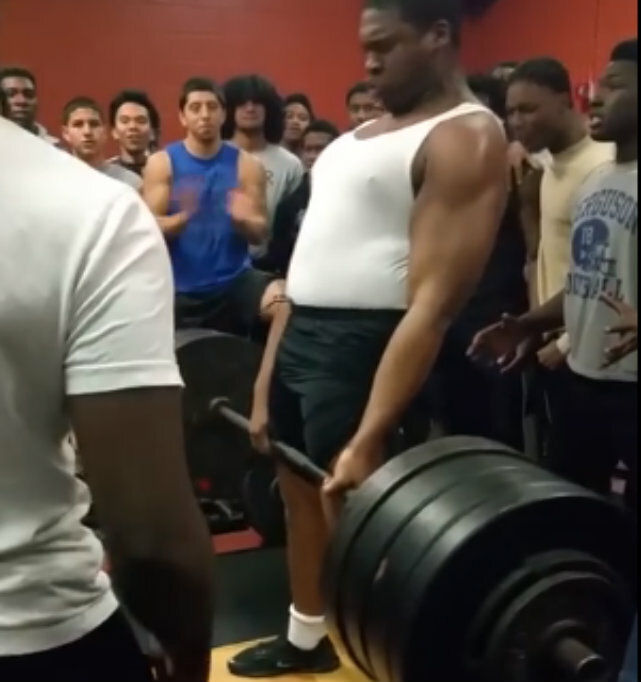 A junior at Bowie High School in Arlington, Texas, Imade got the attention of thousands of people, and more importantly, several college football scouts when a video his coach took of him breaking the school’s deadlift record went viral. Imade, a hulking 6'5", 300-pound offensive lineman accomplished the feat in early March when he lifted 515 pounds, breaking the prior record of 500 pounds. On March 9th, after the video went viral, he received offers from two of the biggest schools, Washington and Texas Tech. "I didn't even know my coach was videotaping," Imade told The Bleacher Report. "After the video, I started getting more interest. I think it had an impact on recruiting."